Continuous Violence Against the Family is a third degree felony level offense that the Texas Legislature enacted and became effective Sept. 1, 2009 (see Texas Penal Code Sec. 25.11 below). Angleton/Brazoria County Texas Criminal Trial Lawyers Jim Sullivan and Associates have over 40 years combined experience defending over 4,000 adults and juveniles accused or suspected of committing criminal violations of State law. Unlike some law firms which focus on lucrative federal cases, the lawyers at Jim Sullivan and Associates focus primarily on representing adults and juveniles accused of State crimes. 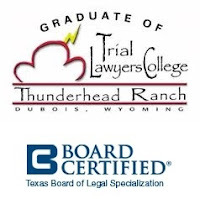 Angleton / Brazoria County Juvenile Law Attorney Jim Sullivan is also Board Certified in Juvenile Law by the Texas Board of Legal Specialization. The legal practice of Jim Sullivan and Associates have their main office in northwest Houston, however they frequently meet clients and travel to criminal and juvenile courts across the Gulf Coast region and throughout the state. Unlike law firms with huge monthly overhead and expenses (such as expensive offices in downtown Houston and widespread advertising), the lawyers at Jim Sullivan and Associates deliberately keep their monthly expenses low so as to provide clients with individualized attention and professional representation for a fair and reasonable fee that is affordable to most people. If you would like to discuss your case with a dedicated Angleton / Brazoria County Criminal Defense Lawyer, please call right them right now at 281-546-6428. Added by Acts 2009, 81st Leg., R.S., Ch. 665, Sec. 1, eff. September 1, 2009.